The Economic Survey 2014-15 emphasised on the need to set up a national-level common Agricultural Produce Market Committees (APMCs) for both buying and selling of agri-commodities across the country. “One of the most striking problems is how unitegrated and distortions-ridden are our agricultural markets. 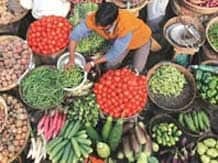 India Needs a national common market for agricultural commodities by making the APMCs just one among many options available for the farmers to sell their produce," the Survey stated..
Barring Bihar and Kerala, all states have their own APMCs that are governed by the respective state governments. The state governments have scrapped APMCs and therefore, agricultural outputs are sold freely in these states. “The government aims to bring entire commodities across the commodity under one roof without any restriction of state boundaries. The proposal is important, but implementation will be crucial,” said an analyst.